2008. 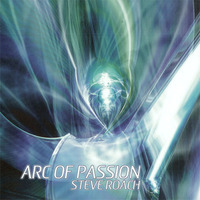 "Steve Roach's new 2-CD set seamlessly fuses three long unfolding soundworlds into a vibrant sonic odyssey. The result can only be described as a living, breathing Arc of Passion. As one of the great pioneers of electronic music, Steve's career has many musical highpoints; Arc of Passion proves to be another definitive statement along the path. Advanced response from listeners places this album at the top of the long list of must-have releases from Steve’s body of work. Steve reaches into his sonic palette to weave elements of his three definitive styles into a continuous, evolving flow. Rich harmonic chords, spiraling sequences and deep sky soundworlds move fluidly within this 2-hour set.